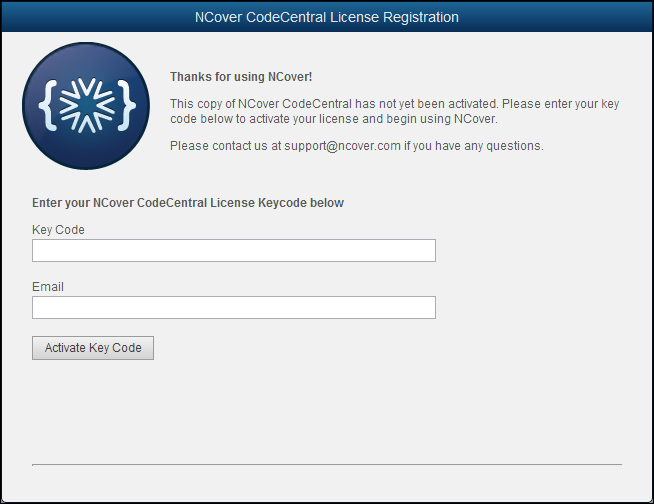 After Code Central is installed, logging into the application for the first time will display the registration screen. If the machine where Code Central is installed doesn't have the internet access needed to contact the NCover license server, there is an offline registration option. 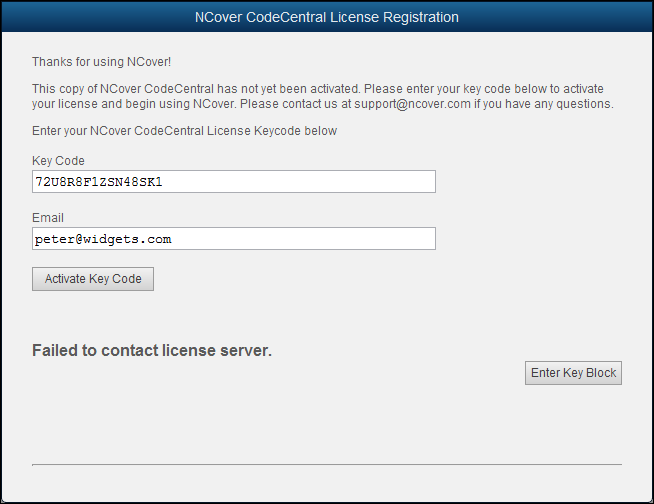 Note: NCover Collector must be able to connect to a Code Central server to work. Since Collector isn't useful on a machine without network access, the manual registration option is not available for Collector. When the activation window displays, copy the contents of the activation text field. 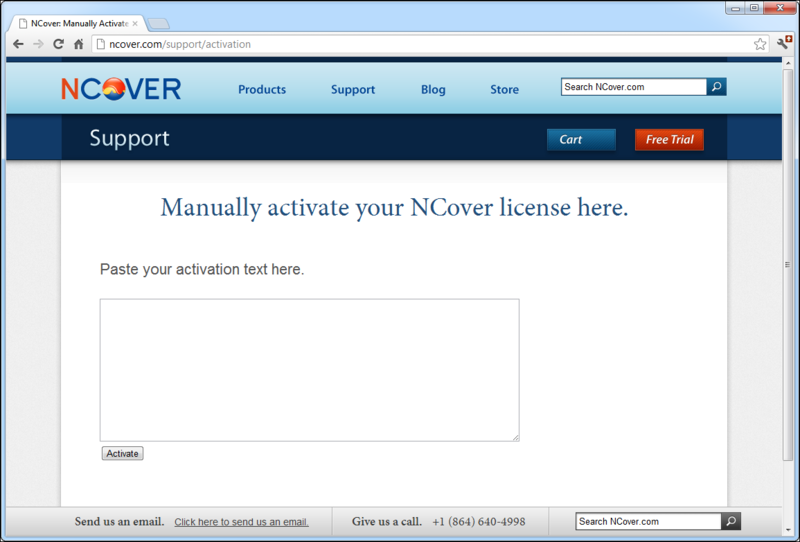 From a machine with an internet connection, go to the NCover license activation web page (http://www.ncover.com/support/activation). Paste the activation text from Code Central into the "Paste your activation text here" field on the web page. 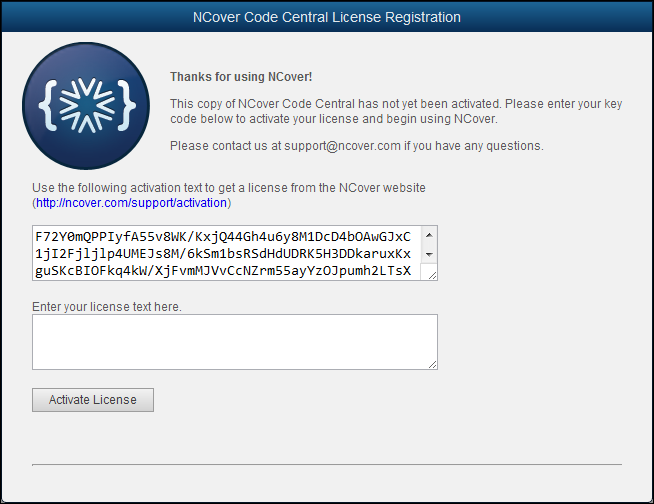 Go back to Code Central and paste the license text into the "Enter your license text here" field on the NCover License Registration window. If this activation text is entered correctly, the verification screen will display.